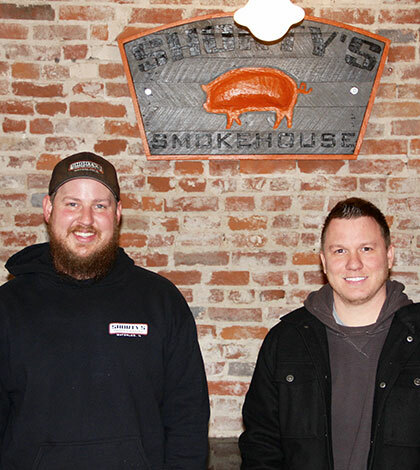 Pictured from left are Shorty’s Smokehouse owners and managers Anthony Hassler and Brandon Bauza. The new barbecue joint will open later this month at 121 S. Main Street in Waterloo. Anthony Hassler and Brandon Bauza met several years ago while working in the aviation industry in St. Louis. They worked together for five years, and in that time learned they shared a passion for barbecuing. “We started out as backyarders,” said Bauza, a Waterloo native currently living in Imperial, Mo. 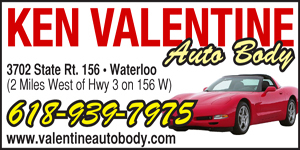 “It was more of the passion for barbecue that drove us,” Hassler, a Waterloo resident, added. The friends considered opening their own barbecue restaurant. Those plans kicked into high gear when they found out both their jobs were being depleted. In February 2017, they began working on a business plan and by October signed a letter of intent to lease the building that will soon be home to Shorty’s Smokehouse.